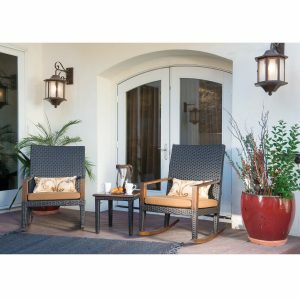 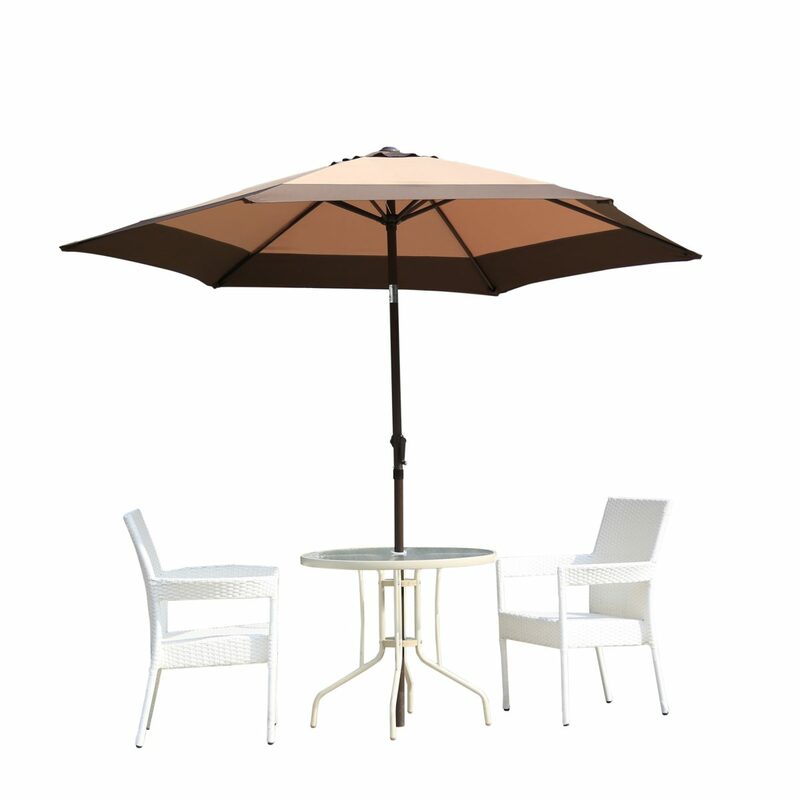 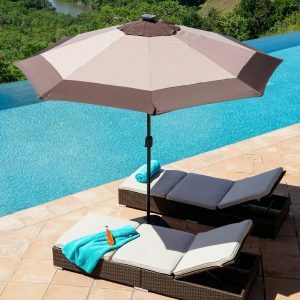 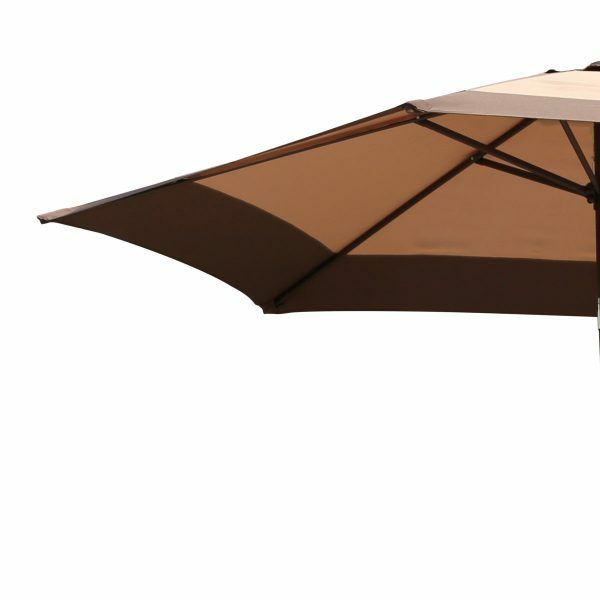 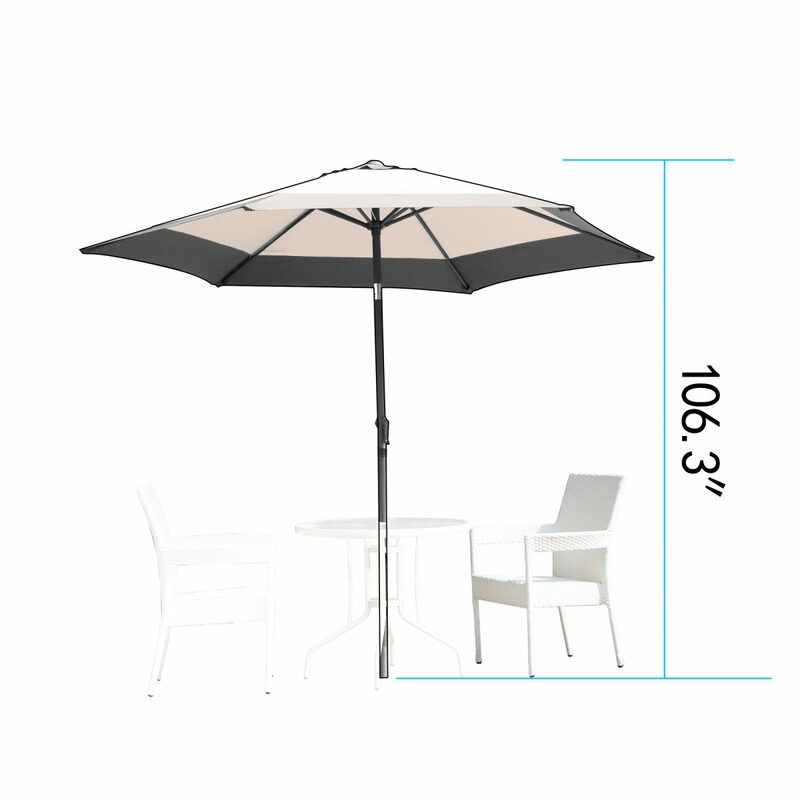 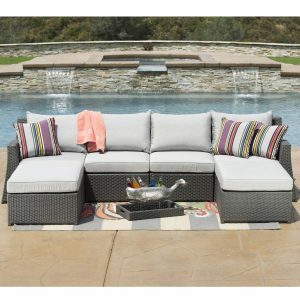 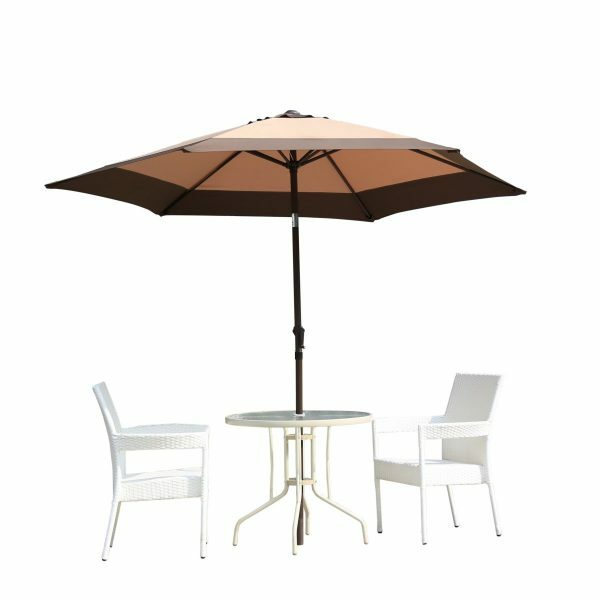 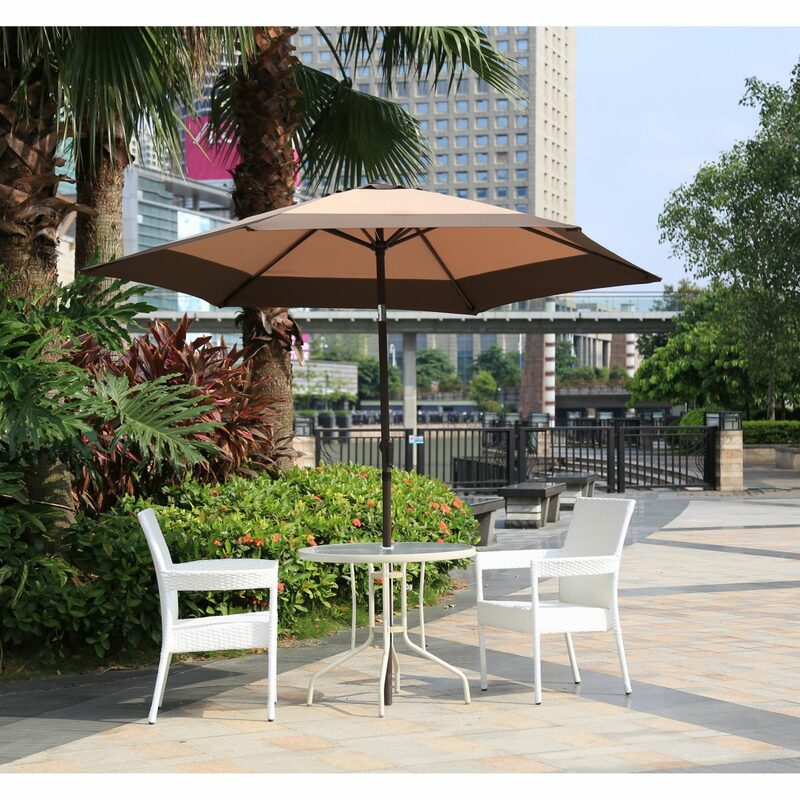 Enjoy protection from harmful UV rays while relishing in the outdoors with this sturdy 9-foot patio umbrella. 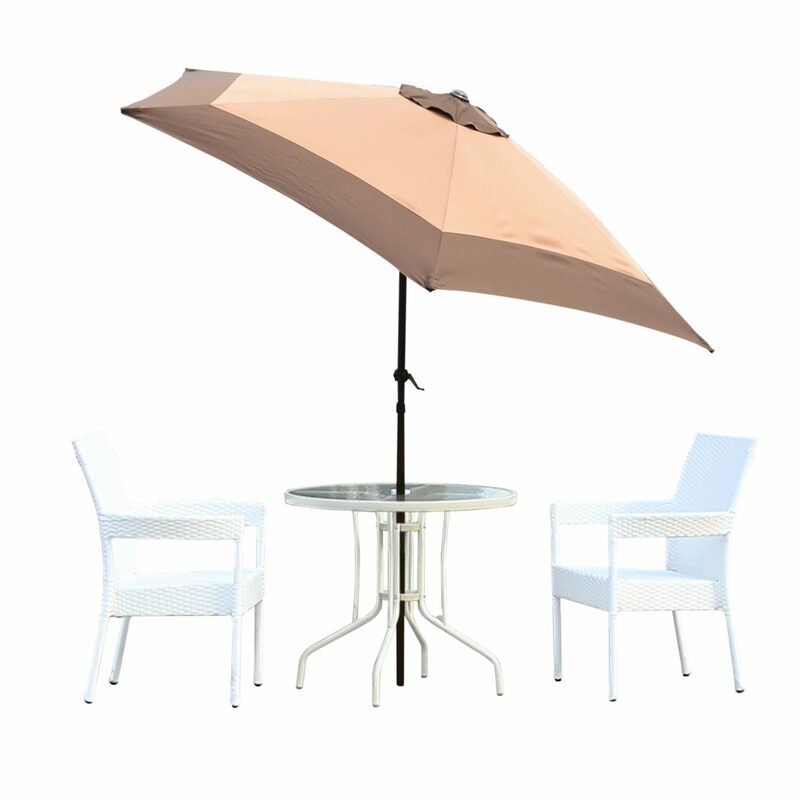 Pole and umbrella ribs are made of aluminum for strength and durability. 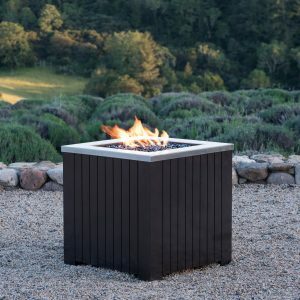 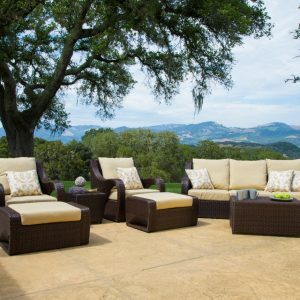 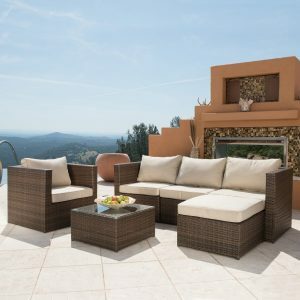 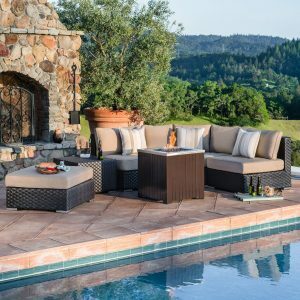 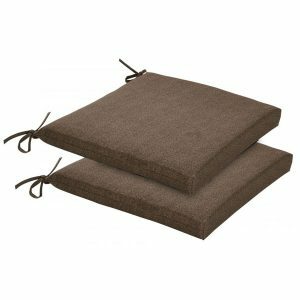 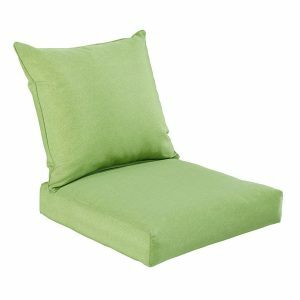 Weather resistant polyester fabric provides long-lasting protection without the need to constantly replace the material due to fade, mold and wear and tear. Vented top is designed for wind-resistance, while the easy-to-use handle crank makes it convenient to open and close.